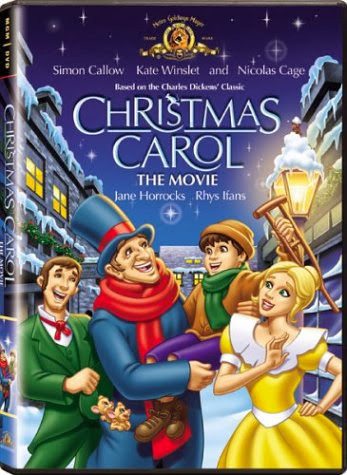 Nicolas Cage, Kate Winslet and Simon Callow provide voices for this animated version of the classic Charles Dickens tale about the miserable Ebenezer Scrooge, who learns the true meaning of Christmas from three ghosts who confront him in the night. The film uses live-action sequences to bookend the story, and a mouse in the animated portion helps younger viewers follow the story. Winslet sings the film's main theme.